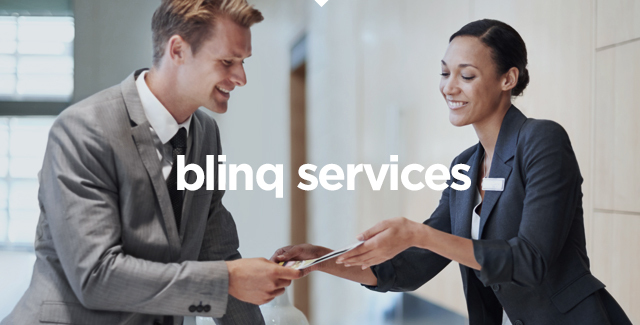 blinq for BART commuters | Concierge services. Shops. Mobile app. Discover, experience and get things done at your nearest BART station. Visit a blinq pod now at Embarcadero and Montgomery. Love to commute? We thought not. We created blinq to help people make the very best use of their time spent traveling to and from work. You can take care of errands, check out new products and earn free rewards--all without leaving the concourse. blinq gives brands exclusive and unprecedented access to the most predictable traffic in the Bay Area: BART and Muni riders. With our mobile app and pop-up shops, you can create a unique and meaningful interaction that lets you engage with your fans like never before. It’s a connection your customers won’t soon forget. make the very best use of their time spent traveling to and from work. Download the blinq mobile app to give it a whirl. approachable technology to let you connect with your fans on a whole new level. We know how routine a commute can be, but great music can take the edge off of the hassling moments. We’re really excited to partner with blinq to give people on-the-go access to better sounding headphones and speakers at affordable prices. The blinq experience for DannyShane Sportswear has directly enhanced our growth initiatives for 2016 and allowed us to better focus on the customer experience. The transaction experience was also excellent, and the blinq concierge did a fantastic job representing our brand! EO is very excited to be a part of blinq’s efforts to enhance and modernize the Bay Area commute by providing our natural lavender hand sanitizers at blinq pods. We're happy to offer a moment of refreshing sanity to the hustle and bustle of travel. The pods are natural fit for Doblet to offer its convenient on-the-go battery chargers for people who've been power-using their phones on BART. It's a great opportunity to improve the commuter experience! blinq is providing people with a chance to slow down and partake in the underground experience. The pod affords us a fantastic promotional retail opportunity at a low cost, and a News Agent at a transportation hub is really a no brainer--commuters like to read! Our partnership with blinq is an exciting opportunity for us to meet our customers face-to-face and offer them easy-to-digest knowledge about the roots of their local food, while providing them increased access to well-made local foods by utilizing eco-efficient delivery strategies.